Dishy Lampshades | Unique lampshades for the discerning home. Unique lampshades for the discerning home. 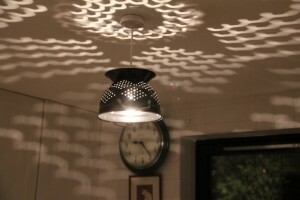 Our first product is this stunning colander lampshade which gives beautiful light patterns. 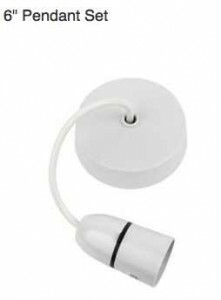 Ideal for any kitchen with a regular UK pendant light fitting (thread diameter 27.5mm). The fitting is available in a range of diameters and colours. The standard one is is stainless steel and about 10 inches in diameter. The image shown is with a 60W clear light bulb, you will get a different effect with a low energy lightbulb. 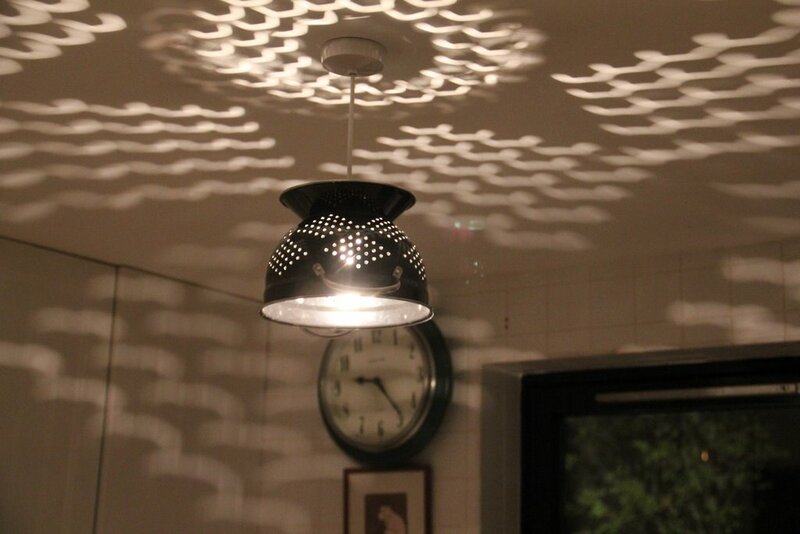 Our Colander lampshade is supplied with a 6″ pendant set (although almost certainly the one you have installed will be OK to use).